California’s second largest city and the United States’ eighth largest, San Diego boasts a citywide population of nearly 1.3 million residents and more than 3 million residents countywide. Within its borders of 4,200 sq. miles, San Diego County encompasses 18 incorporated cities and numerous other charming neighborhoods and communities, including downtown’s historic Gaslamp Quarter, Little Italy, Coronado, La Jolla, Del Mar, Carlsbad, Escondido, La Mesa, Hillcrest, Barrio Logan and Chula Vista just to name a few. San Diego is renowned for its idyllic climate, 70 miles of pristine beaches and a dazzling array of world-class family attractions. Popular attractions include the world-famous San Diego Zoo and San Diego Zoo Safari Park, SeaWorld San Diego and LEGOLAND California. 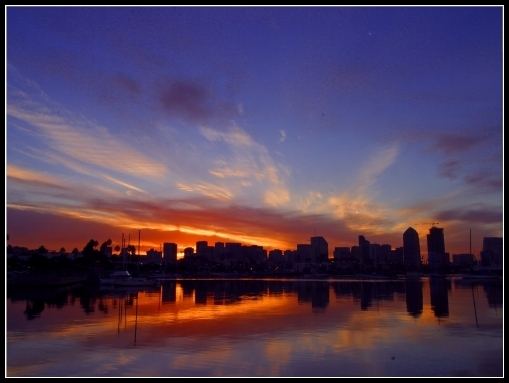 San Diego offers an expansive variety of things to see and do, appealing to guests of all ages from around the world. In San Diego’s East County, the terrain varies from gentle foothills to mile-high mountains and the historic mining town, Julian, down to the 600,000-acre Anza-Borrego Desert State Park, offering nature-conscious visitors endless opportunities to hike, camp, fish, observe wildlife and much more. In San Diego’s North County, the agricultural community produces quantities of flowers and magnificent produce. Wine growers are also making a mark by growing and harvesting quality grapes that become excellent wines, which are served at some of the most elegant restaurants and resorts in the region. Along the west, 70 miles of Pacific Ocean coastline not only supports year-round outdoor recreation, such as surfing, boating, sailing and swimming, but also important scientific research at the Scripps Institution of Oceanography. To the south, it’s a whole different country, Mexico, featuring its own cultural offerings in various towns along the border and coastline, including Tijuana, Rosarito and Ensenada.